FEMA and/or FEDS sent the local Firefighters home..wouldn't let them work. The following blog correspondence shows that FEMA and/or FED Friends malfeasance repeats the same incredible, shameful, and nefarious actions..in the September 2011 Texas Wildfires as they did at . Read and learn what really goes on…and Corporate Media rarely exposes. Not personally. I was off at an earthquake or something..in another part of the world. The regular FEMA guys ( mostly a lot of incompetent bureaucrats rather than the FEMA Fairfax County International Disaster guys who are entirely CIA operatives doing nasty stuff while ‘posing’ as rescuers and not making the slightest effort to help anyone) came in and promised the world..did nothing except induce suffering on a huge level..and then left the place like the aftermath of Sherman’s March to Atlanta?..with the entire population ready to hang them on sight.? DOUG After a few years of cover up thats just about what was said. So they have a perfect track record of useless involvement with everything they put there hand on. 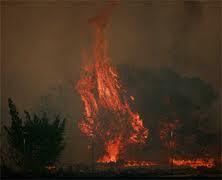 Now they have taken control of the Texas wild fires and have made the trained firefighers who came to help go home. I personally experienced the following scandal unfold regarding Chief Norman NYC-FEMA , FEMA and the attack at Ground Zero. (After Chief Norman of NYC-FEMA attacked me..I checked him out and read the FEMA article which I referenced below). In a FEMA magazine , after , FEMA Chief Norman, first apologized to his FEMA readers that he could not entirely stop NYPD and NYFD first responders from participating, in the rescue. Then, he later bragged (in his article, in the FEMA Magazine) that he did manage to have some firefighters from local New York and New Jersey Depts thrown out..by threatening to have them arrested. He later lead a personal attack against me..stating that he would have arrested me..if he knew I was there..I presume this attack on me ingratiated him with his FEMA villain-friends. On a personal note, I worked with the NYPD UHR team, the Captain of this team was sitting with his team. I walked up and introduced myself..as Doug Copp…he abruptly stopped me..he said :” I know who you are. I saw you on TV save a little girl, buried alive.Thank God You are here!” Then he ordered his LT to take me to the head of the line for NYC Office of Services Badges line..wait for me and then return with me..to go to work together..
Chief Norman..to his disgrace..was a FEMA Chief; however, he was , also, NYFD. He was worse than Benedict Arnold; as far as, I am concerned. I am sure that NYFD and NYPD members who would have read his article in the FEMA Magazine would have been so outraged they would barely be able to control themselves. This is just one of the hundreds of FEMA / FED Bureaucratic horror stories that I have personally witnessed. I am not surprised that they sent qualified firefighters away from the Texas Fires…Can anyone please give me any possible excuse/reason for this other than selfish, greedy, despicable behavior on the part of FEMA..which results in the ‘harm’ being increased. They want’ glory’, ‘power’ and ‘over time checks’..and they don’t care who dies or suffers as a consequence. and let’s NOT forget The role of the Insurance Companies..in this..FEMA’s Insurance Policies for liability have restrictions. In other words ..the USA Insurance Companies raise their ‘ugly heads’ again..I wouldn’t be surprised if FEMA has insurance policies which focus on reducing Insurance Company Exposure..Again, saving lives or people’s welfare..take a back seat. This is why I fight against them. I know about Andrew…lived there at the time, in Ft Laudedale, and we joined with radio stations who got volunteers to load semi trucks with supplies and sent them south to Hialeah and Homestead, and the Seminole Indians took convoys with supplies down to the Miccosukee reservation and were stopped by the National Guard with guns. The Seminoles said these are our relativves move or we will drive through you, and they let them go thru (we were with them) and took in supplies and generators to the people living in the everglades. The Guard showed up two weeks later, dropped some tents, some food and left again. It just mystifies me how these FEMA guys just get away with this stuff..year after year of making people suffer. Dear Byron ..thanks for the link.. I love my brother firefighters. Doug Copp with Pancho (Efrain Huaman) of National Fire Dept of Peru. Doug is a Fire Captain with the National Fire Dept of Peru; as well, as Rescue Chief of ARTI . Doug worked with NYPD at . Pancho worked with NYPD and Doug's Invention, The Copp Casualty Locator at the Killing Fields Landfill recovering body parts, for 3 months. click above to go to the homepage and access the many, many links. The title of the article with all of these links is:’Are The Feds Trying To Mass Kill Americans?”. It really makes you wonder whether it is just the result of extreme incompetence or ?????? FEMA won’t accept Amtrak’s help in evacuations. Homeland Security won’t let Red Cross deliver food. This entry was posted in Uncategorized and tagged American Rescue team International, aniversary, Chief Norman, Chief Norman NYFD, disaster, duck and cover, FEMA crime, First reponders, Hurricane Andrew, NYFD, outrage, safety, Seminole Indians, survival, triangle of life, world trade center. Bookmark the permalink.